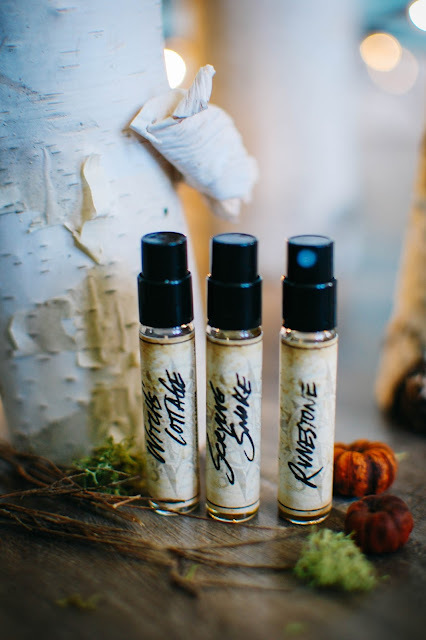 Angela at Solstice Scents had some incredibly magical scents up her sleeve for the Halloween opening. 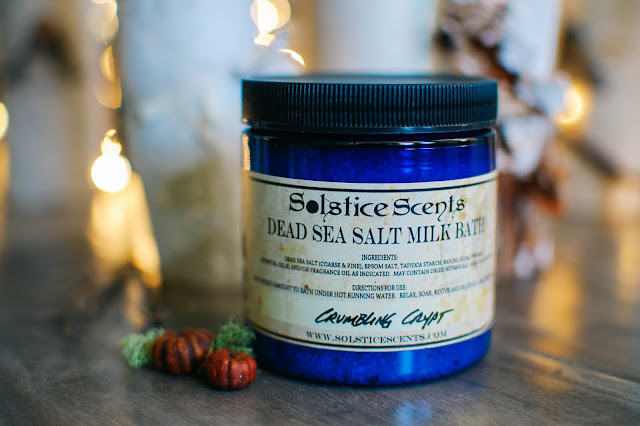 When I heard the Dead Sea Salt Milk Bath returned I knew I wanted to bring one home. I have experienced Crumbling Crypt in the past and love it. The same mossy forest with a shock of lime and earth feature in this year's edition. This jar was $10.00. 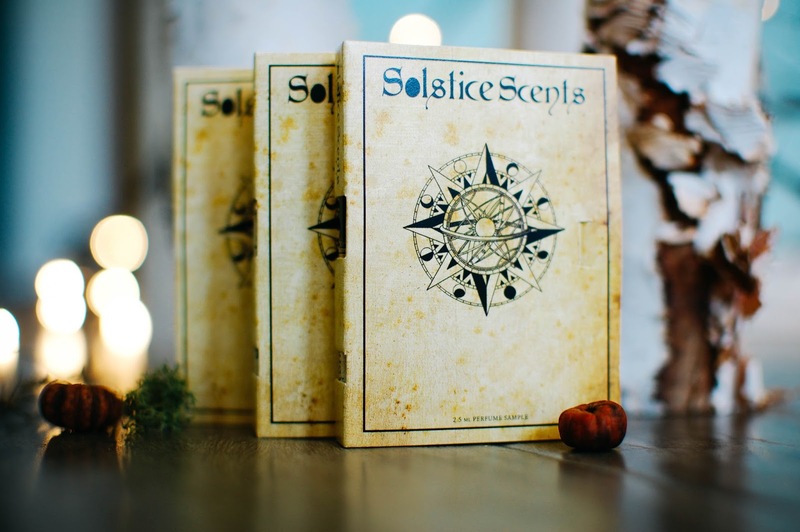 Solstice Scents rolled out new sample sleeves and box sets this release as well. I love the new EDP sample books. Witch's Cottage- Warm baked goods, dry herbs, Sweet Annie, soft woods, fragrant hearth smoke. Sweetly spiced cauldron cakes full of raisins and a dash of rum lie steaming on a knotty wooden platter. The cheery gingerbread cake aroma is cut with the barest hint of smoky woods and sweet amber. This witch could lure me by the nose into her cottage anytime. Wicked good. Scrying Smoke- Notes: Frankincense resin, frankincense smoke, vanilla, sandalwood, cedar, petitgrain, vetiver and labdanum. A frankincense dream. The tangy resin of frankincense undulates with vanilla and cedar in a dance that constantly shifts from golden light to blue shadows. The petitgrain highlights the lemony spine of frankincense while vetiver darkens the smokiness. A mysterious changeling and unlike any other frankincense fragrance I have experienced. That vanilla and cedar. 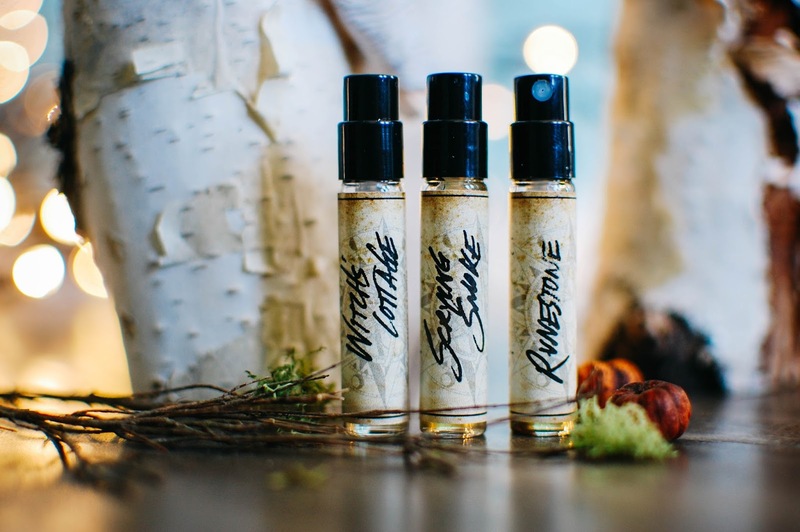 Runestone- Notes: Aged patchouli, vetiver, oakmoss, cedar, violet leaf, dirt, leaves, cypress, spruce. Earth and stars merge. Lucent violet tears fall from the sky in a shower of silence. Fall across the ages and fall into the open furrows of earth. Astral pines tentatively emerge from the violet scented stardust to grow colossal and ever so slow stretching apical meristems back to the heavens. Tenebrous patchouli, hazy vetiver, fecund soil and leaf litter and oh those conifers. Ever living and always reaching to be kissed by the stars. This scent tells a secret in the breath of nature. Incredible. 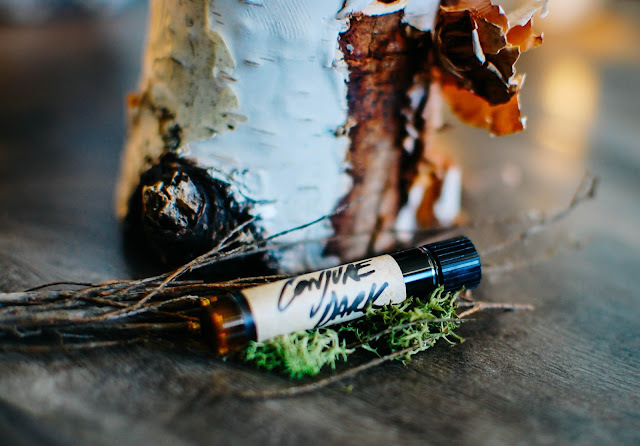 Conjure Dark- Notes: Amber, frankincense, sweet incense smoke, dried rose petals, sandalwood, vetiver, woods, oud, vanilla. The magic of the original Conjure (which I LOVE and will get a full bottle of here before too long) but with extra noir from the oud and roses. This version is the perfume oil and I would like to try it in the EDP before I decide which I would rather have in the full bottle. I do enjoy this scent but I think Conjure wins out by a hair for now over Conjure Dark, just for everyday wear. Have you ordered from Solstice Scents lately? Have you sampled the EDPs? Astral Temple will be the next EDP, along with Conjure Dark, that I want to sample next. Hoping to catch the Conjure Body Oil too next week. 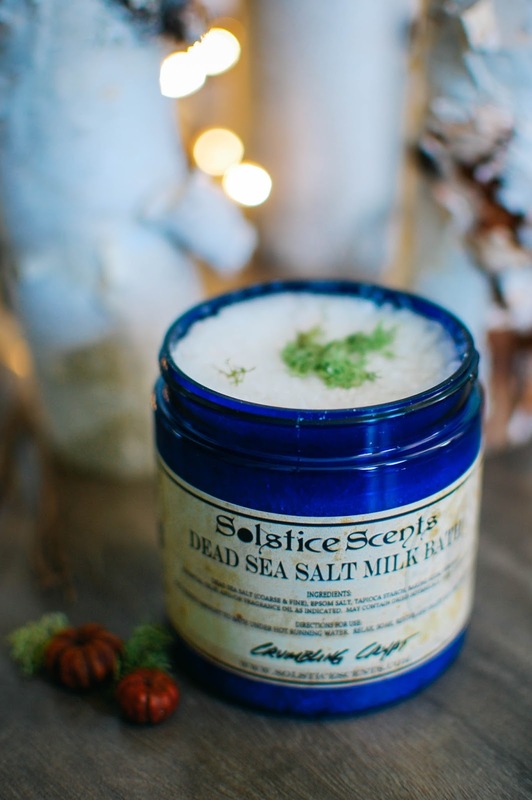 Solstice Scents is temporarily closed for now while Angela takes a much needed break, but will be back up and running come November. 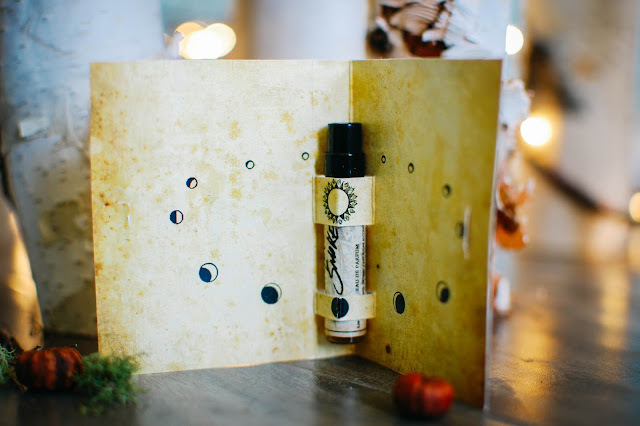 You got me hooked on Solstice Scents of course! 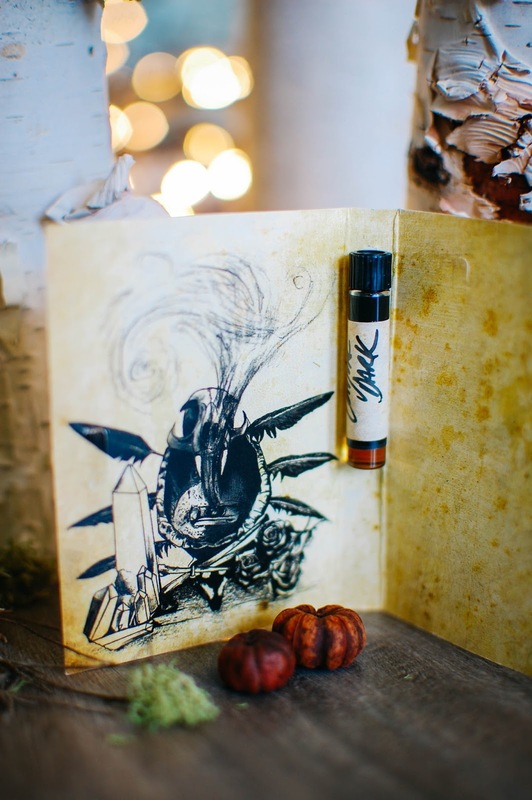 I ended up ordering a spray vial of Manor which is one of my new faves and also Rose Mallow Cream and a free sample of Sycamore Chai. I ended up loving everything but they are a tad pricey for me to order regularly. The latest scents sound wonderful though. omg i can not wait til i can order some!! 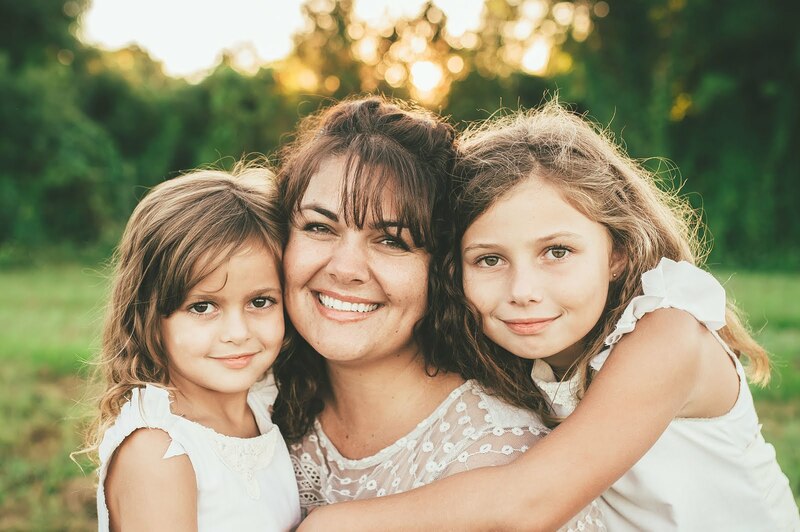 I hope you get to soon! Buying their samples is the best bet for trying a bunch with a budget. The perfume oil samples can come in a set for about $15 or so to try several I think. I just placed a small order for more bath salts. Angela at Solstice Scents is a magician.